Perhaps you already know that it is possible to get a free domain name. However, have you ever wondered how a country can afford to give away its domain names for free? Why would a country just give away its domain names instead of charging for them? It is possible to get a free top-level domain name from Dot TK (www.dot.tk). For serious business use, you might want to pay the nominal cost for a domain name. 2. Why Do They Offer Free Domain Names? Still, it is free. Why would they do this when they could make money from the sale of domain names? 3. How Can They Afford to Give Away Free Domain Names? This logically leads us to our next question: How can they afford to give away free domain names? 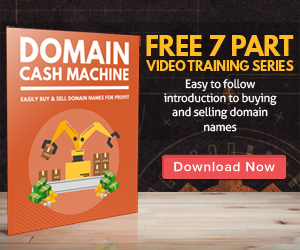 Dot TK makes money from paid domain names, including some special and trademarked names. To help support Dot TK, you can optionally have an ad displayed on your website. Thus, they do receive some advertising revenue from this. However, the big money would be in the sponsorship by large corporations. By the way, this is not the only ccTLD (country code Top-Level Domain) that gives away some domain names for free. As just one example, cg is the ccTLD for the Republic of Congo. Each of its citizens and lawful residents are allowed one free .cg domain name. As well, nr is the ccTLD name for the Republic of Nauru. You can receive a free subdomain name from http://www.co.nr. Thus, your domain name could be something like yourcompany.co.nr. Why do countries give away free domain names? They want their citizens and others to be able to enjoy the benefits of domain name use without cost being an issue. It can also be a promotional method designed to get the word out about their ccTLD. How can these countries afford to give away free domain names? Advertising revenue and the sale of paid domains are two ways of funding free domain names.